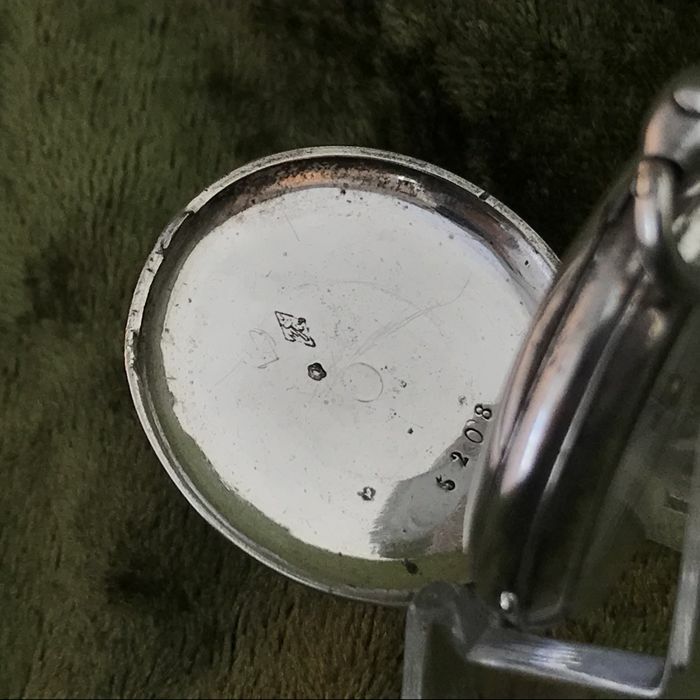 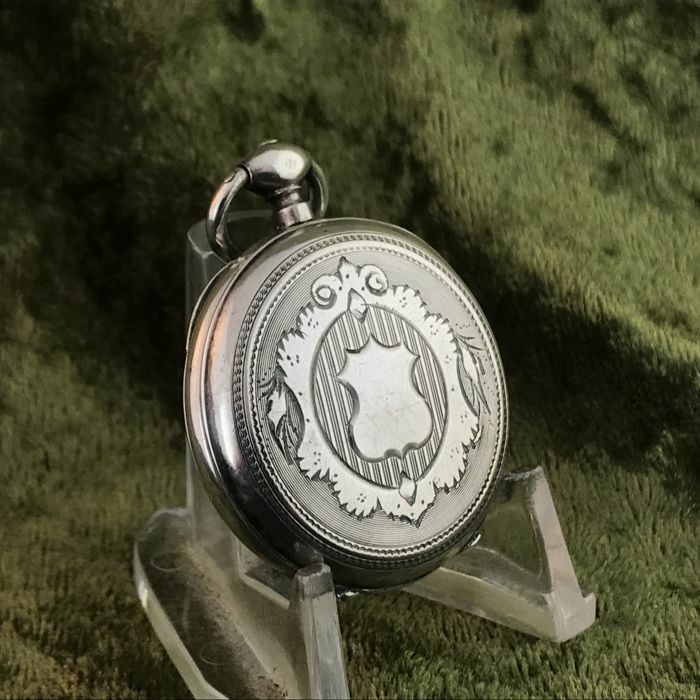 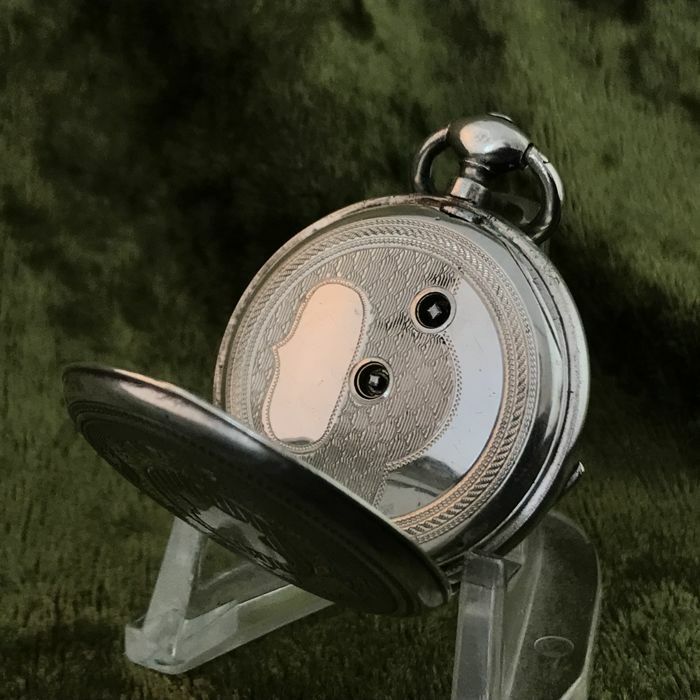 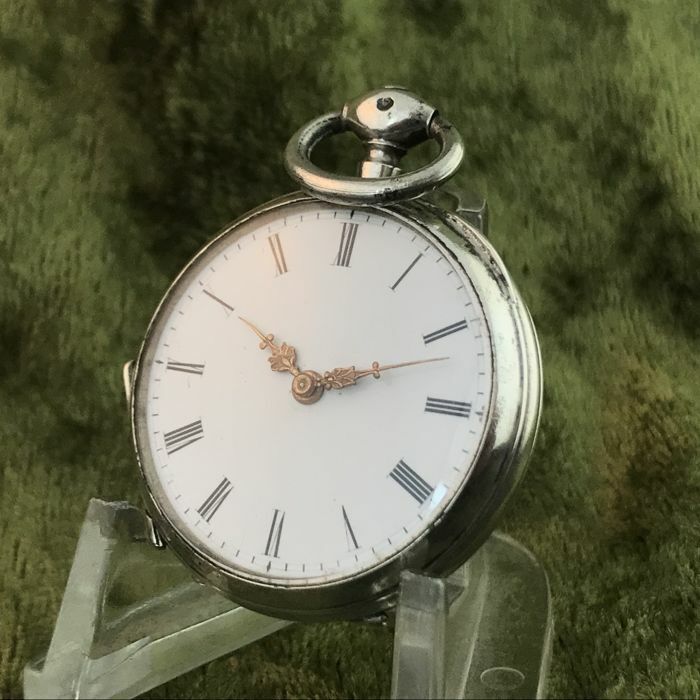 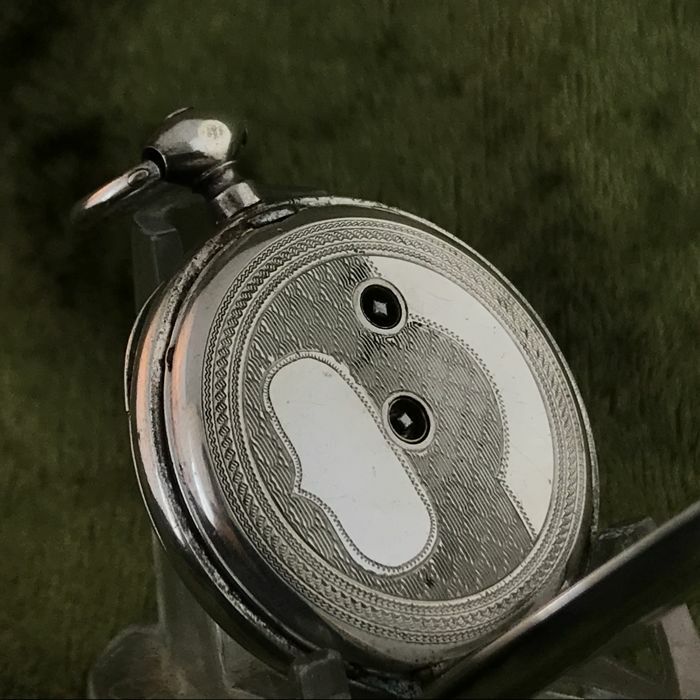 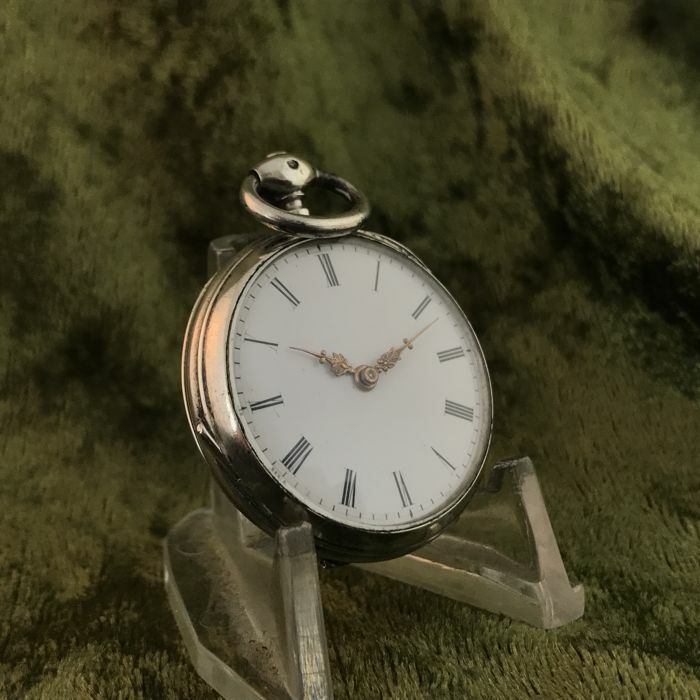 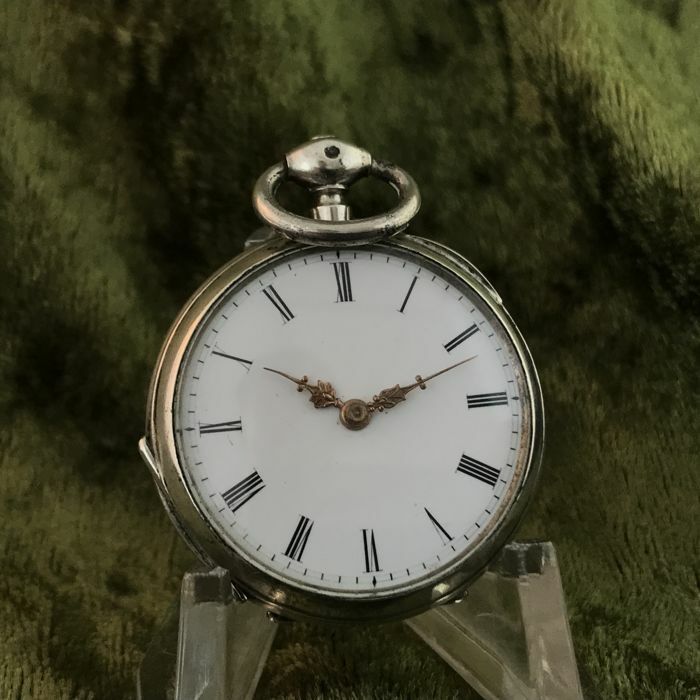 A beautiful French silver women's pocket watch in excellent condition. 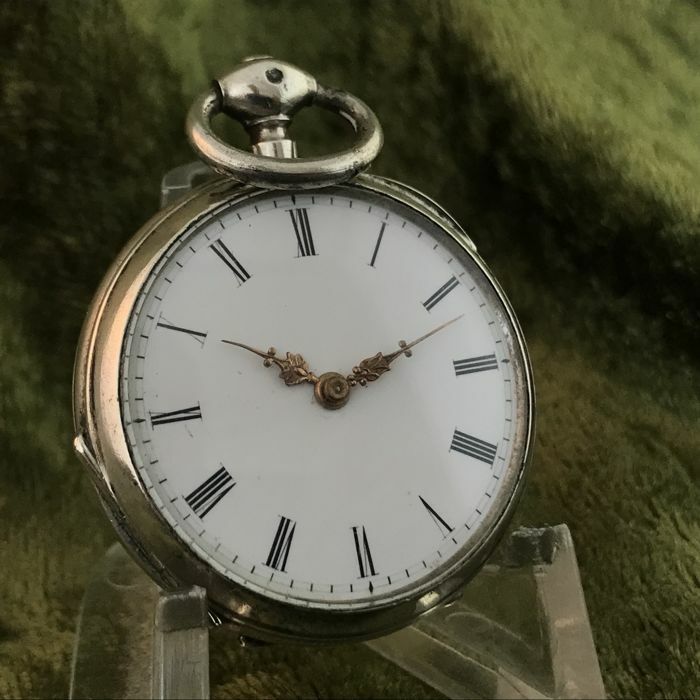 The white enamel dial contrasts beautifully with the gold-coloured, decorated hands. 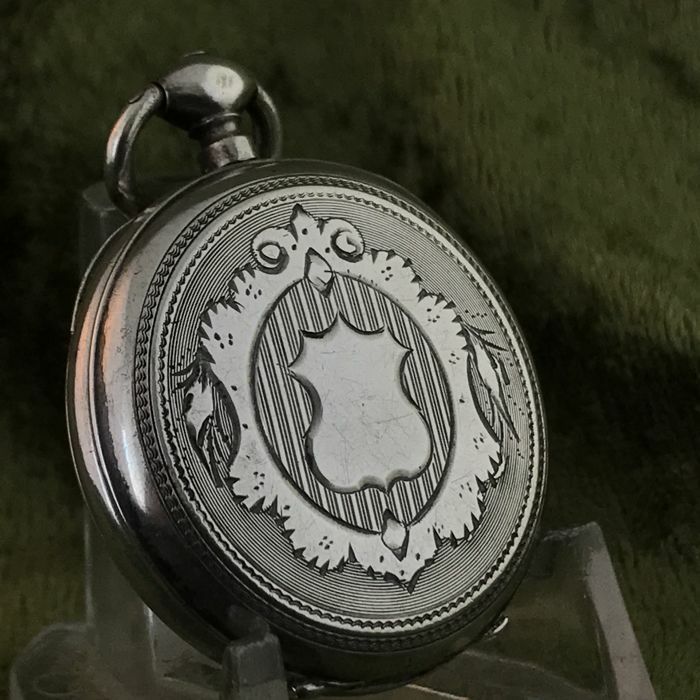 The case has been tooled richly and the lids close well. 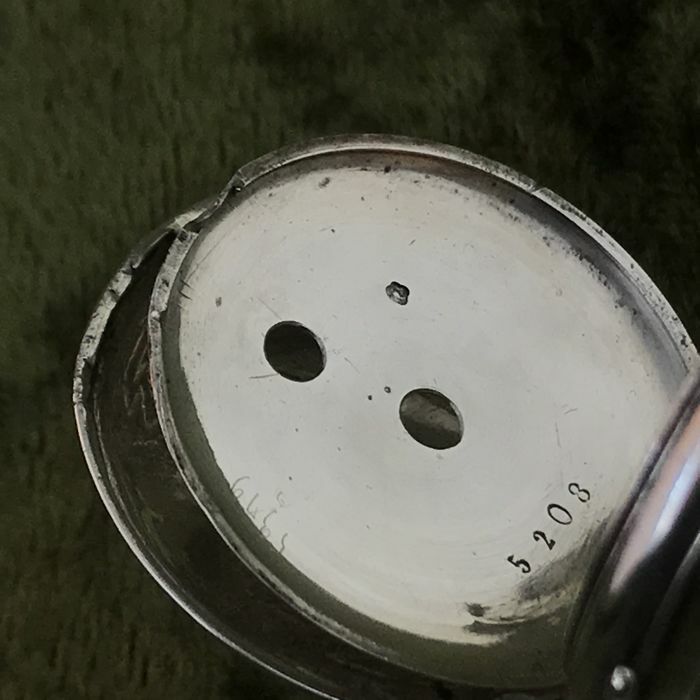 Few traces of wear! 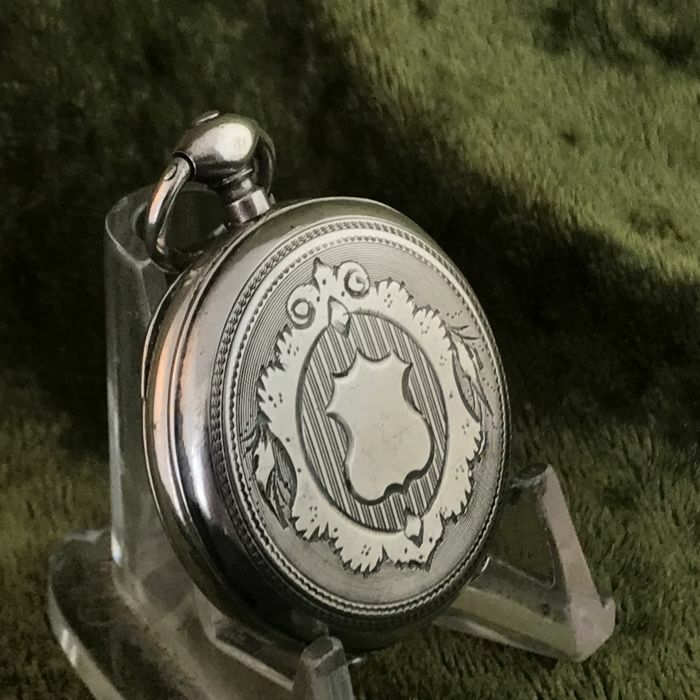 The inner lid is also made of silver and decorated. 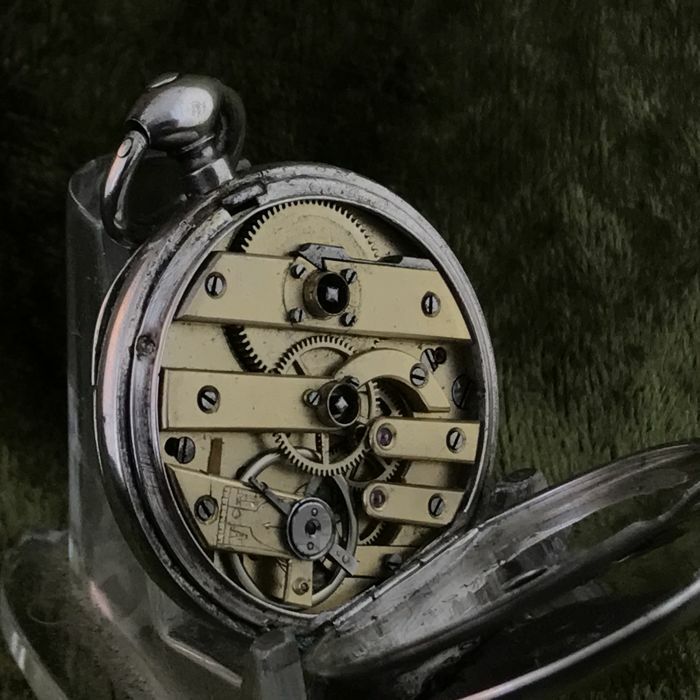 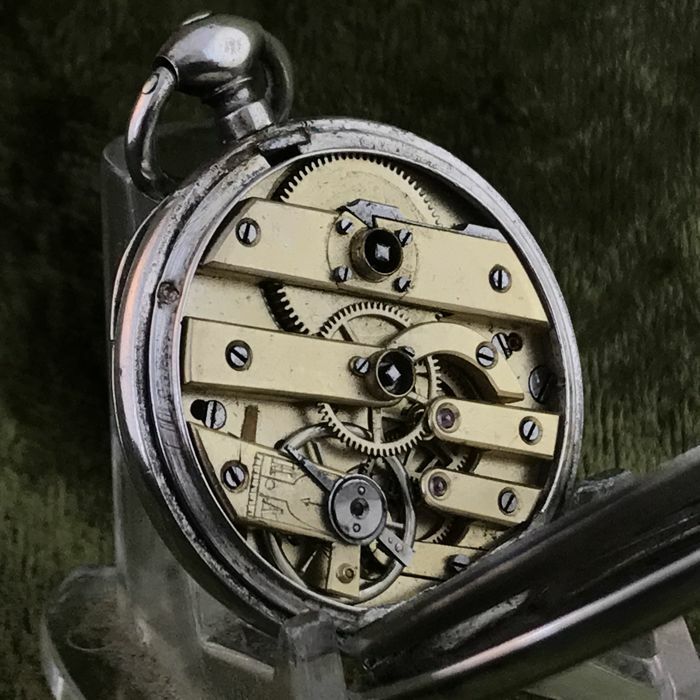 The cylinder escapement movement is clean and functions well, it comes with a matching winding key. 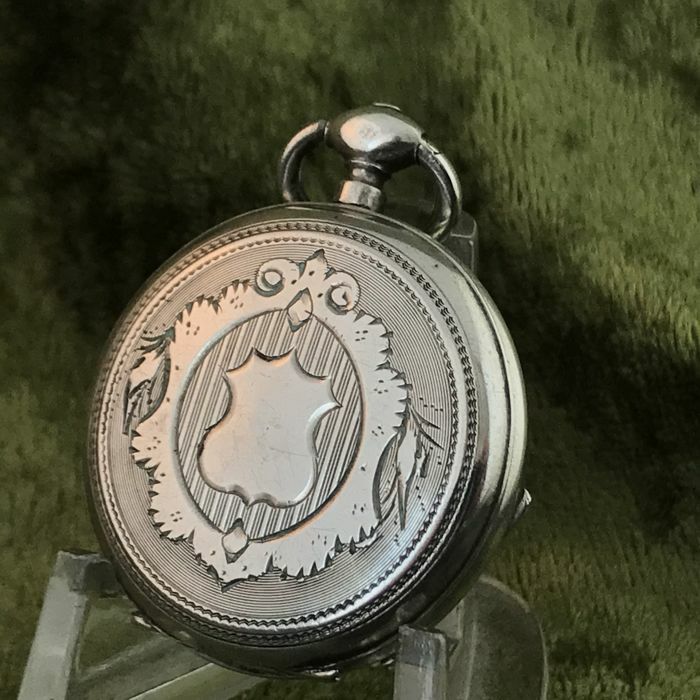 The pocket watch will be very well-packaged in bubble wrap and a sturdy box.